Today I want to share with you, a beautiful “Watercolor Technique” that I teamed up with 2 of the spectacular products from our “Weekly Deals”. I say that because I love both of these items … the “Flower Garden Texture Impressions Folder” and the Daffodil Delight Seam Binding. 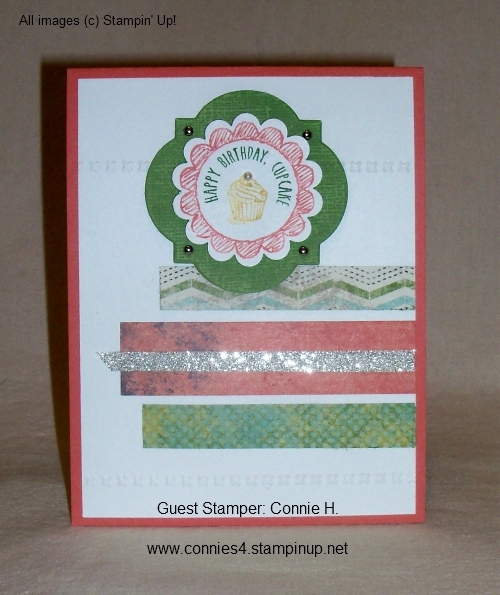 I began with the “Shimmery White” cardstock… it works very well for this technique. The Whisper White does not work, it absorbs the water too quickly. You will also need re-inkers, paint brush and a spritzer. 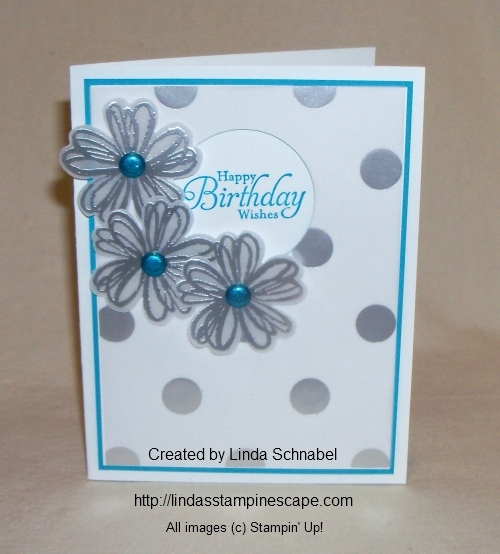 I ran the Shimmery White cardstock through the Bigshot using the Flower Garden Embossing Folder… then spritz! Don’t over saturate your paper… remember, less is more. You can always add more water. I squeezed a few drops of ink out of the re-inker into something plastic, then dipped my Aqua Painter tip into the ink and “dotted” it into the flower. The ink spreads quickly! You can use a paint brush if you do not have a Aqua Painter yet, they work nice because you can add a bit of water when using them. I did the flowers first, as the water absorbs into the cardstock, I added more ink to the area’s I wanted darker. I did the green last … then spritzed a bit more to add to the watercolor look. It may take a try or two the get the look your want, just keep in mind that “less is more” … too much spritzing with water could muddy your card. You must let it dry, and I suggest using “Sticky Strip” as your adhesive because it will hold the card much better. Because the cardstock is warped from the water, it has a tendency to pull away from your base card when using regular adhesive. 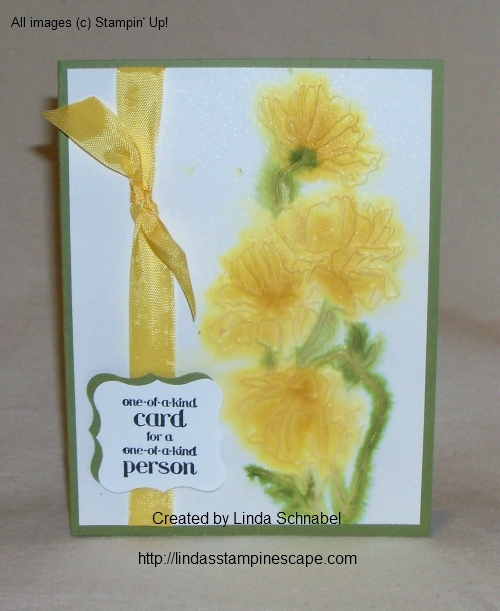 I added the Daffodil Delight seam binding to balance the card, and topped it off with a greeting from the “A Dozen Thoughts” stamp set, which anchors the card. It’s hard to see the “shimmer” from the photograph but it is stunning! I really love working with this paper. Hope you enjoyed today’s technique / card share. Today kicks off our annual Sale-a-bration … aren’t you excited!! I love the new products offered this year and I would like to share a quick glance at them with you. I also have a special product that has been brought back, but will only be available for a limited time. So grab a cup of coffee or tea and join me through a tour of all these wonderful new items! 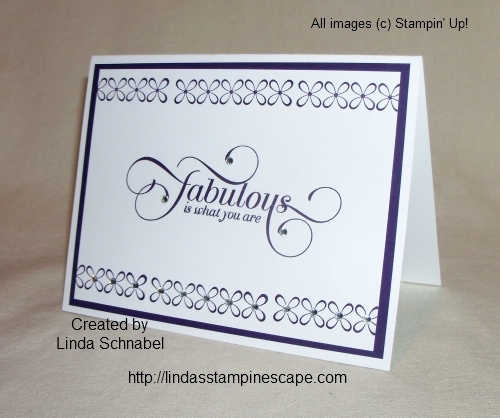 This is our Texture Boutique Embossing Machine $29.95. NOW AVAILABLE! Click HERE to purchase this fun & portable tool! Thank you so much for stopping by today. I did not forget about the card share I promised yesterday, I will showcase that beautiful card tomorrow… see you then. Zero to Fabulous in 3 Easy Steps! Today I’m going to share a pretty card that can be stamped in a matter of minutes, but first I wanted to share this funny poem one of my friends posted on facebook. I do believe my fellow Wisconsinites would agree, and by the look of the cold front, many more states too! OK… On to the card! 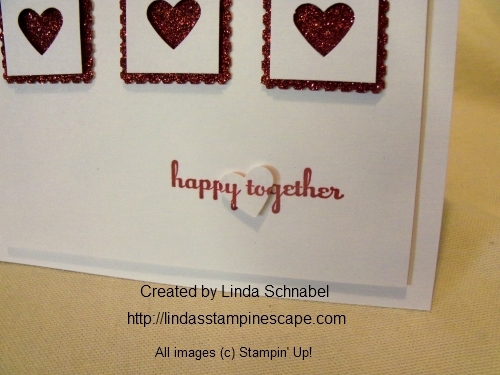 You will find this fabulously easy to make. The greeting comes from the stamp set Million and One. My color pallet: Whisper White and Elegant Eggplant. 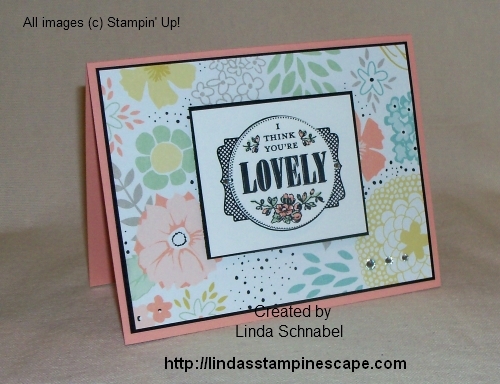 The cute little flower border comes from a stamp that belongs to the “You’re Lovely” stamp set which is available in the Sale-a-bration catalog. I’ll share another card with this set tomorrow. Are you getting excited? 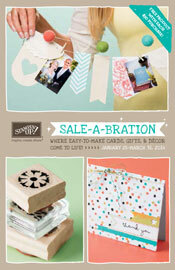 Sale-a-Bration starts tomorrow! Not familiar with our annual Sale-a-Bration special? By ordering $50 in merchandise from any of our two catalogs or the Clearance Rack you get to choose from a wide selection of merchandise in the Sale-a-Bration catalog. I’ll post the catalog here on my blog tomorrow, Jan 28th. If you need a catalog let me know and I’ll send you one. The FREE choices this year are awesome! NOW … to complete my card, I simply added some bling using our Rhinestones. They really add a bit of sparkle to this card. 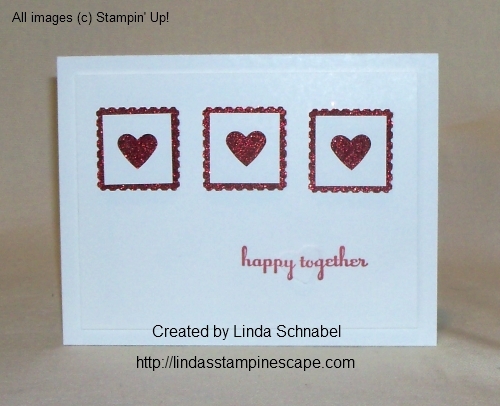 So … in three easy steps you can create this card. 1. Stamp 2. Apply Rhinestones 3. Assemble. Stay warm and have a fabulous Monday. Today my card share is very special to me as I celebrate 2 birthdays in my family. My granddaughter Cassie, and my sister Ruthie. It has been almost 3 years since my sister lost her battle with pancreatic cancer … and I miss her everyday. 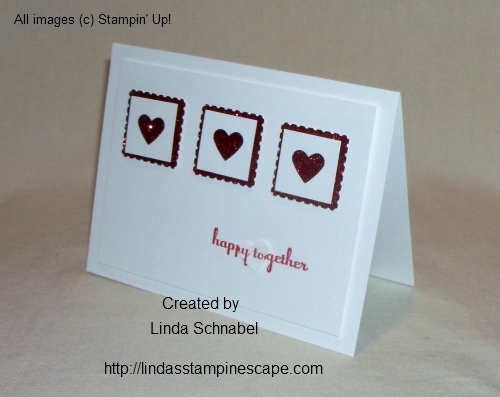 I wanted to create a fun, hip card that represents them both, and to celebrate each of them today. 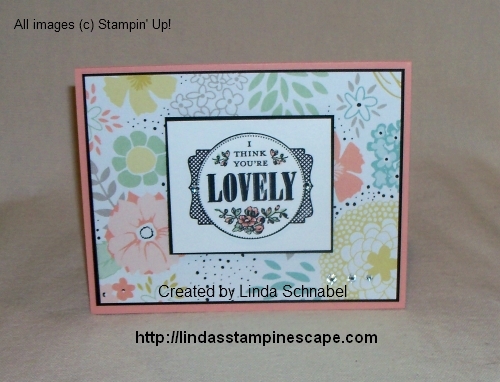 I began with the “Fancy Foil Designer Vellum” Polka Dots and knew I had to add flowers, because both of them love flowers. Gardeners at heart I think! 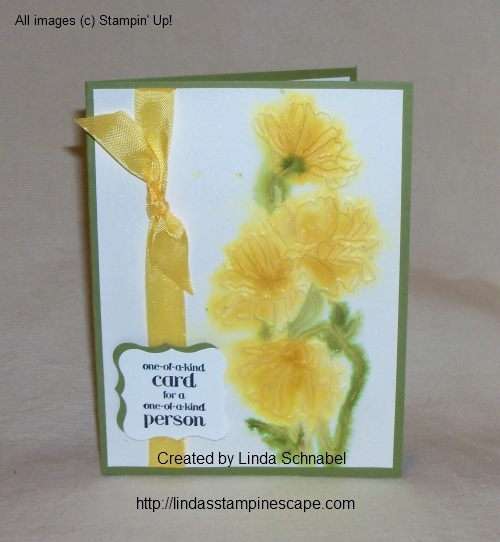 The flowers are from the “Flower Shop” stamp set. 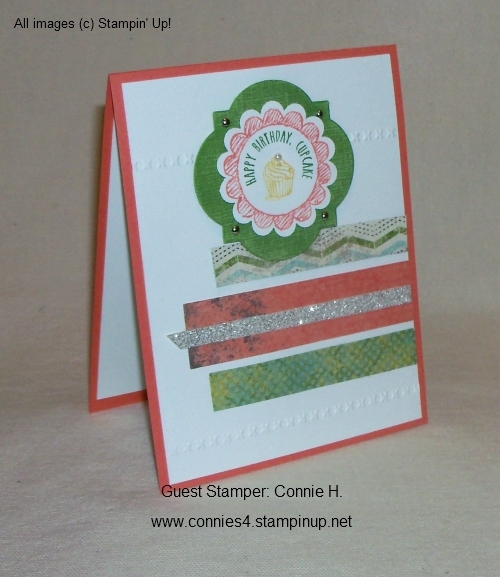 I have to tell you … I love this vellum because it really hides the adhesive well! Especially the dots and the stripes! Glue dots work well for the heart vellum. 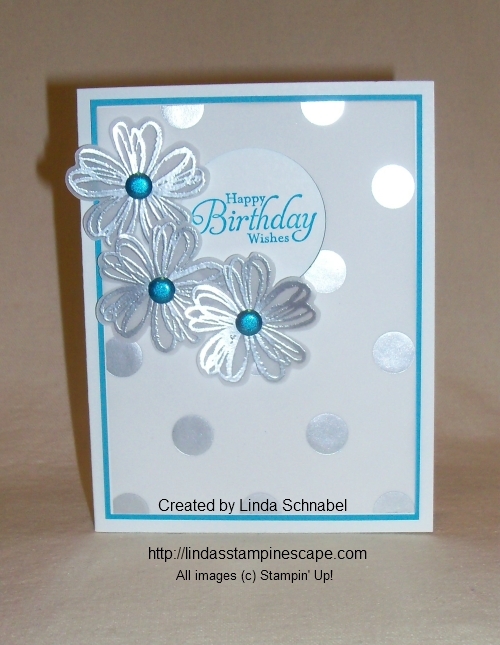 I embossed the flowers in silver and punched them out using the “Pansy” punch. I am so happy they make coordinating punches and I no longer have to cut them out by hand! I wanted a “POP” of color so I added Tempting Turquoise. The turquoise and silver reminds me of the southwest – ahhhh, someplace warm!! After layering the velum, whisper white, and turquoise, I punched out the center with the 1-3/4″ circle punch. 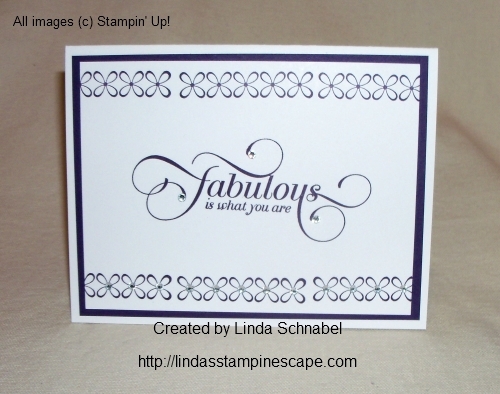 Then the entire piece was popped up (adhered) to the base card with stampin’ dimensionals. I did this to create an added dimension for the greeting. 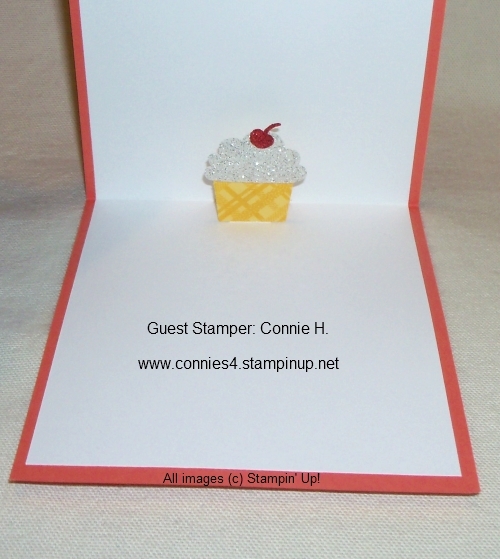 The birthday greeting comes from the stamp set “Simply Sketched”… it is a Hostess set. I wanted to add a bit more color, so I added the “Brights – Glimmer Brads” to the flowers. 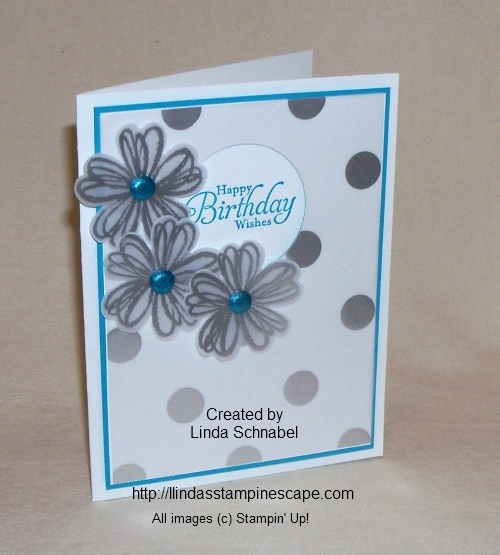 Each flower was popped up with a stampin’ dimensional and placed around the circle. I think I got the fun and hip card I was after. Just had to share this shot of the card when the flash made it shine! That truly is how “shiny” it is … Sometimes photos don’t always do a card justice. The supply list is just below this photo. Clicking on the item number will link you to my on-line store. Thank you.